Leashes and Collars for all sizes. With our assortment you can match the dog collar, dog leash and your own clothes with one another, which looks great when in the city or if you’re competing in a dog sport. To give you a better overview we’ve collected all our leashes and collars on this page. All dogs have different personalities and are their own individuals. For this reason, it is important that you use a collar that your dog is comfortable with. Adapt the collar based on your needs and the various activities you perform, such as walking in the city, the forest or going for runs. There are various types of dog collars that fit different occasions and can handle jerks and pulls. Choose a collar based on the size of your dog and which you both think looks good. 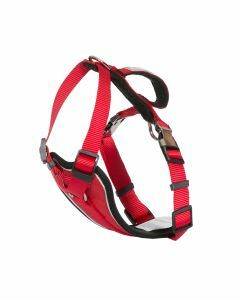 At Arrak Outdoor we offer a wide range of collars where you’re sure to find something that suits you and can be matched with a nice-looking leash. We do not believe that anything gives such joy and anticipation to a dog as a leash does. The dog knows that it’s time for a walk and to get moving. At Arrak outdoor we offer leashes that you adapt to the various activities that you do together. 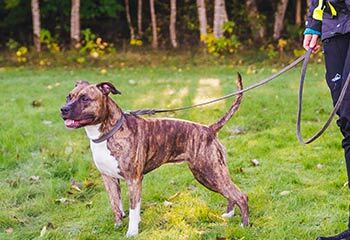 We offer leashes with an extendable cord if your dog requires more freedom of movement. We have fixed leashes in various materials. If you love to run with your dog we also offer runner’s leashes.